Lemon Verbena has gained popularity in recent years. Although it is native to South America, the rest of the world quickly caught on this superfood trend. The plant became accessible to everyone, which is great because of the many benefits that it has. It is a powerful medicinal ingredient as well as an effective additive to skin care products. It is known by its scientific name, Aloysia citrodora. It is also called lemon beebrush. It is a perennial shrub that gives off a strong lemon scent. The scent gets even stronger when flowers and leaves are bruised, cut, or touched. The plant grows up to 2-3 meters tall. The flowers have white and purple colors. In the beginning, the plant was used as a food additive, because it was very flavorful. It was a great addition to fish and poultry dishes, dressings, salads, jams, and even beverages. These uses are now coming back as a trend because more studies are proving the medicinal benefits of this herb. A wealth of research has surfaced, making this plant very beneficial and valuable to us all. Lemon verbena can be extracted and its essential oil can be harvested. It has a high concentration of strong antioxidant compounds, like citral, nerol, verbascoside, and geraniol. Most often, lemon verbena is used as pill supplements or herbal teas. The leaves are dried and steeped to create a tea that gives a nice boost to metabolic processes and organs. More recently, the benefits of the plant to skin care have been discovered. Now, many companies are making lemon verbena soaps, gels, lotions, and other skin care products. Find out why it’s so effective as a skin care product. We now know how much the therapeutic properties of lemon verbena are valued. It can help to relax and tone the skin. This is why it is often used as a soap. Lemon verbena is safe for all skin types. You end up with a toned, yet soft and supple skin. In the soap, you’ll find lemon verbena essential oil, which is very gentle and helps regulate the level of natural oils in the skin. If you’re suffering from uneven skin tone, you may benefit from it. One of the biggest problems people worry about is the premature aging of the skin, thanks to pollution and the many chemicals we’re exposed to. Lemon verbena soap can combat this problem by firming the skin. It gives a youthful freshness which you can’t get from non-natural soaps. It has antioxidants that inhibit premature skin aging. As mentioned, we’re constantly exposed to harmful chemicals, pollutants, and bacteria. These cause pimples, acne, and other skin problems. It can also act as an astringent to fight off blemishes and treat scars. The oils of the plant give you a not only clean skin but one that is nourished as well. The skin becomes smooth and uplifted after each wash. Because of the natural flavonoids, you experience a very bright and radiant skin. Lemon verbena has properties that can be compared to green tea. It is full of anti-inflammatory properties, which can reduce skin redness and irritation. If you have puffy skin, this is ideal for you. You get a soothing, cooling feeling. This plant is able to get rid of dirt, pollutants, and excess oil (sebum) in the skin, which can cause acne and major skin issues. Even though it effectively removes bacteria, it does not cause excessive drying. You end up with blemish-free, healthy-looking skin. After a hard workout, you can also benefit from using lemon verbena soap. It has properties that regulate oxidative damage and helps in relieving sore muscles after exercising. Not only is this soap great for your skin, but it’s also very naturally fragrant. It’s like having a natural perfume on. This is why lemon verbena is often used in making potpourri, too. Leave a soap opened in the bathroom and it’ll smell nice all day long. It’s not surprising that lemon verbena soaps are used in massage centers, salons, and spas. They use it as a skin cleanser. Its antiviral and antioxidant properties remove excess oils while keeping the moisture in the skin. 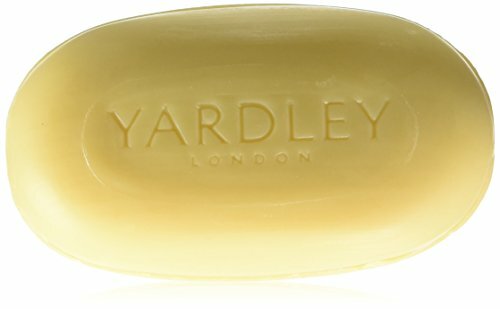 If you are ready to try this kind of soap, start with the Yardley London, Lemon Verbena with Natural Shea Butter & Pure Citrus Oil. It is great for restoring moisture in the skin. With the pure citrus oils and natural shea butter, you get soft, toned, and uplifted skin. It offers a fragrance that is so refreshing, you’ll buy one just for your room. If you are looking for something new to add to your skin care routine, here are a few more lemon verbena soaps you could try. 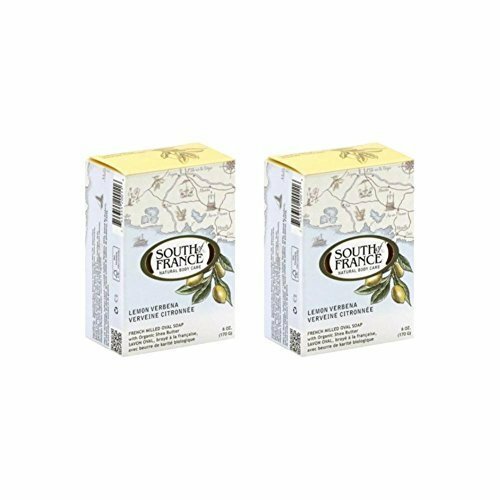 South Of France Lemon Verbena Natural Bar Soap lets you experience the aroma of freshly picked verbena. Enjoy the citrus smell and amazing healing properties. It is soy-free, gluten-free, and vegan. If you are looking for an American made alternative, check out Venezia Soapworks Pure Vegetable Soap, Lemon Verbena. This is a triple-refined soap that gives a rich and smooth lather. The soap is very fragrant and uses only 100% pure vegetable oils and lemon verbena. No animal fats included. Looking for more soap facts? You can also check out our post on French soaps, Portuguese soaps, Spanish soaps, Italian soaps, and Japanese soaps.